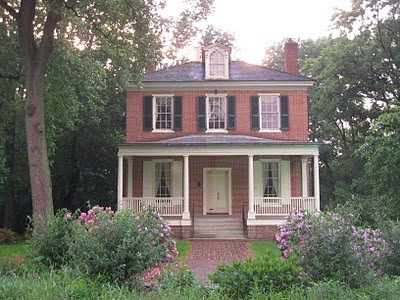 Erected by Edward Burd in 1798, Ormiston Mansion is a well preserved two-and-a-half story, late Georgian House built of red brick on a central-hall plan. The building’s American-bond brickwork gives way to Flemish bond on the front. The facade is also adorned with a simple Tuscan porch; a smaller pedimented version of this porch is attached to the rear of the house. 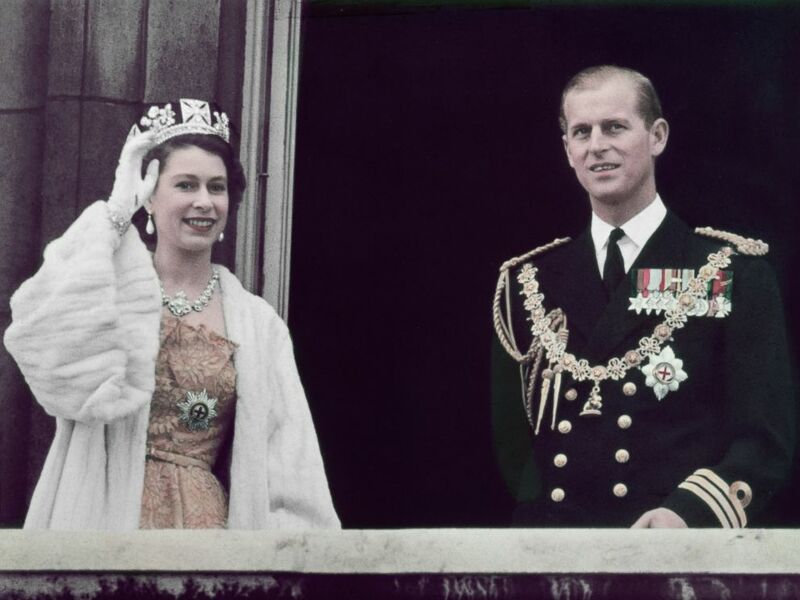 Early interior features such as fireplaces, moldings, and a Scottish bake oven have survived. A widow's walk tops the house. Federal-style dormer windows also adorn the cedar shake roof. Ormiston is an example of Georgian domestic architecture. The building is of pink-red brick with six large shuttered windows on each elevation and a pillared front porch. The front door opens into a spacious drawing room which spans the width of the house. A smaller dining room has a large door opening on to a veranda which overlooks the Schuylkill River. Both rooms have fireplaces with the original local marble mantles. The kitchen area of the house includes the original Scottish bake oven and a large open fireplace. The "widow's walk" tops the house, and the third floor dormer windows open to a magnificent view of the river. Surrounding the house are remnants of the garden and orchard areas. I have built myself a good house at Schuylkill which I expect to raise in a few days, and call it Ormiston, after the name of our Grandfather's Seat near Edinburgh. Burd died in 1833 and the City of Philadelphia bought the mansion from his heirs in 1869. 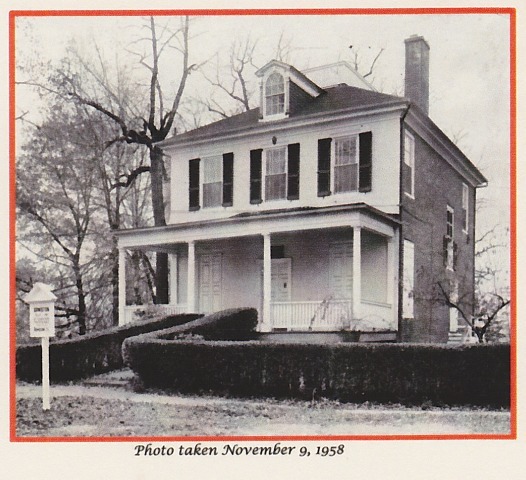 Ormiston Mansion then became part of Fairmount Park. 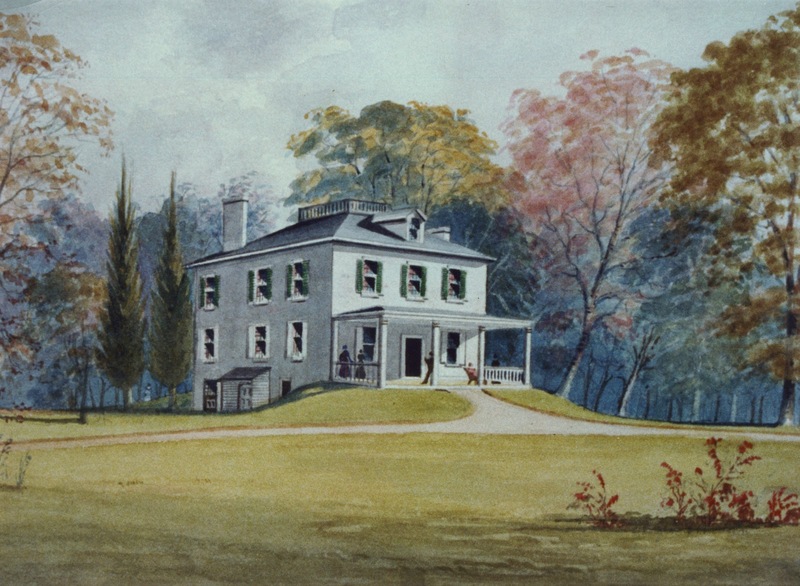 For years Ormiston had varied uses including as a residence for park employees and as a home for the Fairmount Park Art Association. 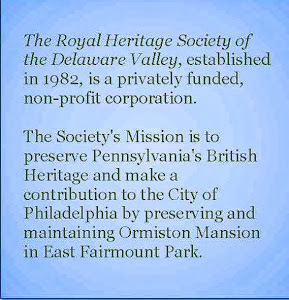 The Royal Heritage Society has maintained the mansion for Fairmount Park since 1982. 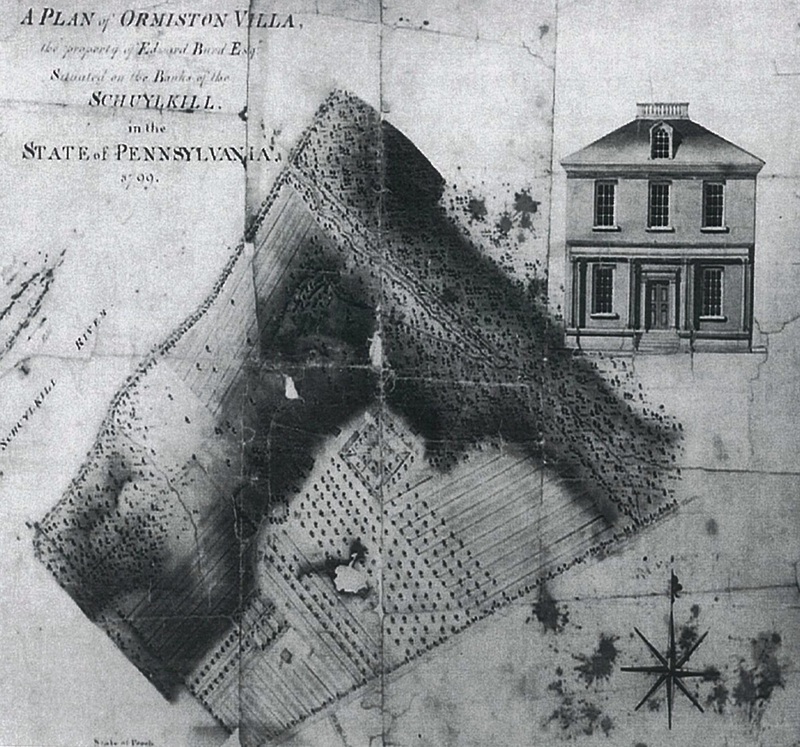 Much of the history of Ormiston and many of the images and photos were gleaned from a fabulous cultural landscape study completed in January 2004 by Menke & Menke, Landscape Architects and Planners based in Swarthmore, PA.